Get the secrets of catching catfish using different lures, techniques and bait with these titles from our digital collections. Learn how to catch the big ones with this fact-filled manual. Catfishing provides the freshwater angler with an opportunity to catch a delicious meal while also offering the chance for an exciting catch. Growing up to one hundred pounds, depending on the breed, catfish can present an incredible challenge for even the most experienced angler. But there are surefire ways to effectively catch them. In The Pocket Guide to Old-Time Catfish Techniques, Monte Burch outlines the many ways to go about catfishing. From jugging to tailracing to trotlining, Burch provides instruction and advice on what will help you catch that greatest catfish. Using numerous illustrations and maps, Burch details the methods and equipment that will help you catch that trophy-sized cat. This updated and expanded edition now features color photographs. 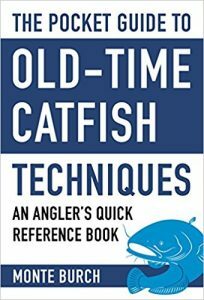 Whatever your chosen fishing method may be, The Pocket Guide to Old-Time Catfish Techniques will prove to be an essential pocket guide for you to reference on the water. Catfish are among the largest and hardest fighting game fish found in North America. Master angler Keith "Catfish" Sutton shares his in-depth knowledge and reveals both time-tested and advanced catfishing techniques to make Catfishing: Beyond the Basics the ultimate handbook for catching these remarkable fish. Learn catfishing techniques for channel cats, blues, flatheads, and bullheads using innovative and alternative tactics. Find out about advanced baits and the use of a wide range of equipment and tackle. 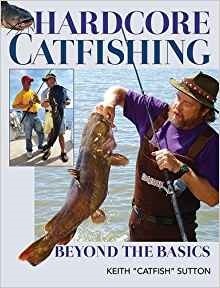 Catfishing: Beyond the Basics is your step-by-step guide to the lore, techniques, and secrets of catching catfish. While many fish, from bream and crappie to bass, trout, and shad, are popular in the South, none of them has settled as thoroughly in southern culture as the humble, bewhiskered, bottom-dwelling catfish. For Memphis natives Paul and Angela Knipple, enjoying "that steamy sweet white meat encased in golden crisp cornmeal was just a part of our childhoods." In this Savor the South® cookbook, the Knipples share their family memories of catching and eating this favored southern food. 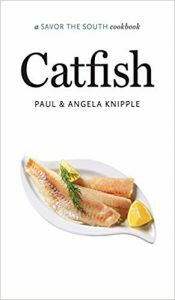 Painting a portrait of catfish's culinary and natural history, along with its place in southern foodways and the Delta fishing industry, the Knipples also provide clear instructions for how to select, prepare, and cook the fish. 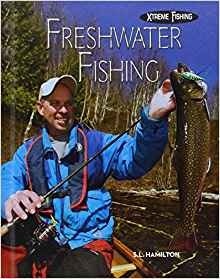 This title introduces readers to Freshwater Fishing. Readers will learn about the types of boats, tackle, and gear that are needed to reel in freshwater fish. Sought-after freshwater fish such as bass, walleye, trout, northern pike, muskellunge, catfish, crappie, sunfish, and perch are examined including how to locate them and which tackle works best with each fish's habitat, weight, and habits. Safety concerns such as weather and proper casting are also addressed. Xreme facts provide additional information on this exciting sport. Aligned to Common Core Standards and correlated to state standards. A&D Xtreme is an imprint of ABDO Publishing Company, a division of ABDO.